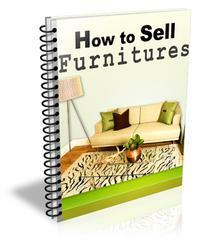 See how to build this great looking on page 68. Start by wiping on a strong stain controller to keep the poplar from blotching when you apply the dye and stain. Make a strong stain controller by thinning gel varnish with mineral spirits. Wash the sealed surface with soap and water so the dye will soak in, rather than bead up on the surface. Blotch-prone areas will stand out as the water dries, because they're super-absorbent. After the wood has thoroughly dried, apply an additional coat of stain controller to these areas. Apply a coat of medium-brown dye to create a uniform ground color. So why isn't poplar popular with furniture makers? The answer is simple: The wood is just plain homely. Its color ranges from pale yellowish white to an odd shade of green, and boards are often discolored by dark gray or purplish streaks. To top it off, poplar doesn't stain well with traditional wood stains. In fact it can get ugly really fast because it blotches so easily. About the only time furniture makers use poplar as a primary wood is when the piece is going to be painted. Poplar has too many desirable furniture-making qualities to be limited to "paint-grade" service. Fortunately, by using a special approach, it's possible to make this ugly duckling glow beautifully. This process will transform poplar's odd green color to any brown wood tone you like. However, dark streaks will still show—they'll need to be avoided or placed strategically in the design and called "character." The key to giving poplar a rich, even stain color is to control its horrible blotching tendencies. This requires starting with a very effective stain controller (also called wood conditioner or pre-stain sealer). The commercial stain controllers I tested didn't provide enough blotch resistance, so I developed a simple recipe to make a controller with the necessary strength. 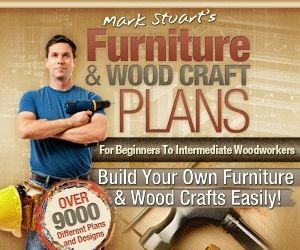 This recipe and the finishing steps that follow work well on any wood that's prone to blotching. After applying the stain controller, use a two-step coloring process for better control and color intensity. This coloring method combines the benefits of both dye and pigment stain. The dye provides a ground color as strong and rich as needed, and the pigment ensures that the color doesn't fade and become dull over time. The dye and pigment colors shown here are both a medium-dark "warm" brown. They combine to create a rich chocolaty tone on both the green heartwood and pale sapwood. Your color choices may be different. 1. Prepare the surfaces by sanding to 180 grit. Be sure to sand by hand after you power sand, to eliminate swirl marks. Pay extra attention to the end grain. Look again for blotching or dark end grain. Seal any areas that have gone extra-dark with a coat of gel varnish just before you apply the gel stain in the next step. Apply two coats of amber shellac to add depth and tone, followed by a more protective topcoat, if necessary. the stain. Let the wood dry overnight. 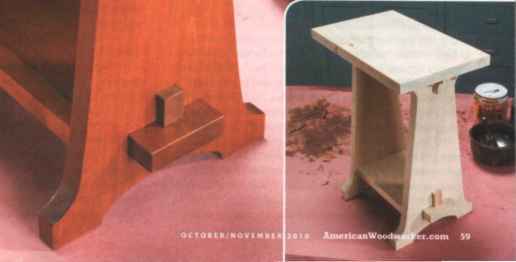 This step is intended to seal the wood approximately 60%-75%, which is usually enough to control blotching and still allow the stain to penetrate. 3. Wash the partially sealed surface with a mixture of dish soap and water to "open" the top layer of wood cells so they'll absorb the dye easily (Photo 2). This step won't cause any significant grain-raising because the surface has been treated with the stain controller. 4. Hidden blotches will reveal themselves as the water dries (Photo 3). Areas that are extra-porous soak up more water. This means they'll stay wet longer, so they're easy to identify. The longer they stay wet, the worse the blotch will be. Fortunately, even super-absorbent areas can be tamed if they're found and treated with extra stain controller before color is applied. 5. MixTransFast Medium Brown Water Based Dye following the label instructions and apply it generously, using a rag (Photo 4). Allow the dye to saturate the wood, then remove the excess with clean rags. Allow the wood to dry until the water has completely evaporated (2 hours). 6. 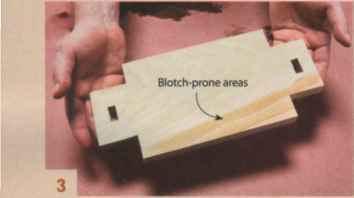 Check the workpiece and selectively apply clear gel to any blotches or end grain that are already dark enough from the dye step (Photo 5). This is your last chance for blotch reducing. Apply a coat of medium-brown gel stain. Gel stain adds richness to the overall color and helps to keep the dye from fading. Turn Green to Gold oxalic acid works miracles on poplar's green heartwood. Simply mix a saturated solution of oxalic crystals in hot water and brush the solution on the wood. As the solution dries, the green heartwood will turn to a golden brown and the white sapwood will take on a warmer shade of pale. A second application of the solution after the first has thoroughly dried usually helps the results—and it can't hurt. Oxalic acid is poisonous, so let the surface dry completely and then rinse it thoroughly with water to remove any acid that remains. Note that this treatment does nothing to reduce poplar's tendency to blotch, so you'll still need to follow the recipe to end up with a great-looking finish. Oxalic acid is primarily used to restore the natural color of grayed, weathered, exterior wood—it's the active ingredient in deck-renewing products. 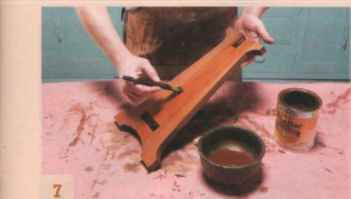 Restorers and woodworkers use oxalic acid to remove black water stains from wood. It's available at most hardware stores. 7. Apply a coat of General Finishes Medium Brown Gel Stain (Photo 6). Then let the piece dry overnight. 8. Apply two coats of 2 lb. cut amber shellac (Photo 7). Although shellac is a durable finish, I know that this table will often be used as a place to rest a coffee cup, so I'll add a coat of oil-based satin polyurethane to prevent water rings. Kevin Southwick is a professional wood finishing specialist and furnture restorer/conservator in Minneapolis MN.